Hello readers! Brian here with the fifth installment of “The Best and Worst of Zelda.” This awesome topic was suggested by Christian, so much thanks to him! Remember to leave your ideas for next week in the comments below. The sidequest is an extremely important element to pull off in a Zelda game. Though by nature an unnecessary portion of the game, sidequests exist only to enhance the gameplay experience and absorb the player even further into the mind of that silent hero. But often, as we know, the game will pose a challenge to us with no urgency or importance to the plot of any kind to be completed at the leisure of the the gamer. 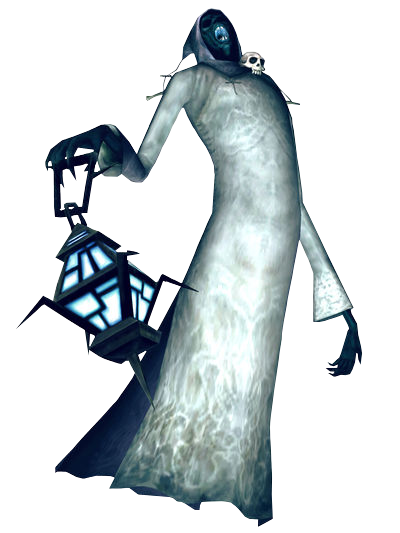 Often spanning throughout the entirety of the video game, subtly existing in the background of the main story, it can be very powerful if done well. But done poorly, it’s just a bothersome hassle. So which games did it best? Hit that jump to find out! But first a few rules. To be considered an ongoing quest, it can’t be a necessary collection, for example, the Magic Containers in Adventure of Link. I also won’t be counting Pieces of Heart or Heart Containers, as those are a whole different animal altogether. With that out of the way, enjoy! A good ongoing quest meets at least one of a few criteria. They should be interesting, at least a bit difficult to fully complete, and lastly, they should offer a helpful reward. As Zelda fans, we often strive for the side quest, the excitement of exploration and collection, but it all feels as if it were for naught if the reward comes out to be just a few rupees. Though there’s something to be said of the general satisfaction you receive for completing a quest, it’s much more satisfying when coupled with a good reward. I will be judging mostly on these three aspects, so keep them in mind as we delve into our first game. 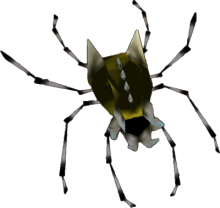 I like to mark the inception of the ongoing quest as the Gold Skulltulas in Ocarina of Time. It was an extremely well-designed portion of the game, allowing huge rewards to those who collected even a small portion of the Skulltulas. From bigger wallets to new weapons and even a Piece of Heart, and that’s just for half of them! So what do you get for collecting all of them? Perhaps an entire heart container, or even a powerful spell or weapon? No, 200 rupees. As many times as you want, you get 200 rupees. Infinite rupees, how helpful! At least it would be, if you could do it even just a little bit earlier. Honestly, why am I using infinite rupees all the way at the end of the the game? It feels almost worthless to get any more than fifty Gold Skulltulas, because the final prize is just… kind of lame. In a casual play, I feel no real incentive to grab too many of them, which is a sure sign of a lacking quest. And what’s even stranger? They decided to emulate this collection almost a decade later in Twilight Princess. The Poe Souls were pretty interesting in nature. It was a reason to transform into Wolf Link, a character I didn’t enjoy much otherwise, and I thought the design of the poes was really interesting. Note the similarities to the Gold Skulltulas, where you are told to kill a bunch of special enemies, take what they leave behind, and use them to cure someone of a curse. Pretty similar, right? Even the prize for collecting all of them is exactly the same! 200 rupees infinitely, and my complaints are exactly the same. I found twenty, and was happy with the bottle of fairy tears, but after that I stopped really caring. Infinite rupee supplies aren’t even slightly helpful at the end of the game. I was underwhelmed by this quest, so I’m glad there was one a bit more helpful in the same game. Agitha, the bug ‘princess’ is a great character. She’s just plain weird, and I liked it. 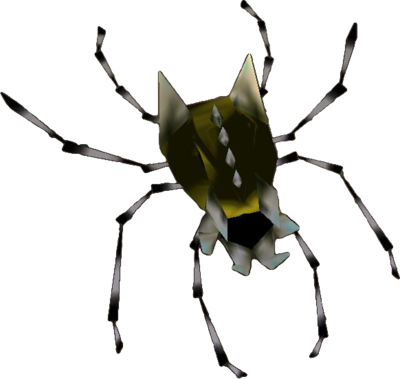 Collecting golden bugs was actually difficult, but really fun. I found my first bug completely at random. I had just gotten the bombs and was messing around with them in Hyrule Field, when I saw a circle of flowers. After bombing the center and seeing that nothing happened, I noticed a “grab” command on the A button. I curiously pressed it, and caught a bug. That was strange, I thought, but after meeting with Agitha and acquiring a new wallet, I was happy to run around grabbing more bugs. I didn’t think the Giant’s Wallet was the best prize, but by that point I had gotten so many rupees for the bugs that I didn’t even care. I thought this was a pretty solid quest, that reminds me, in terms of prizes, of Skyward Sword. 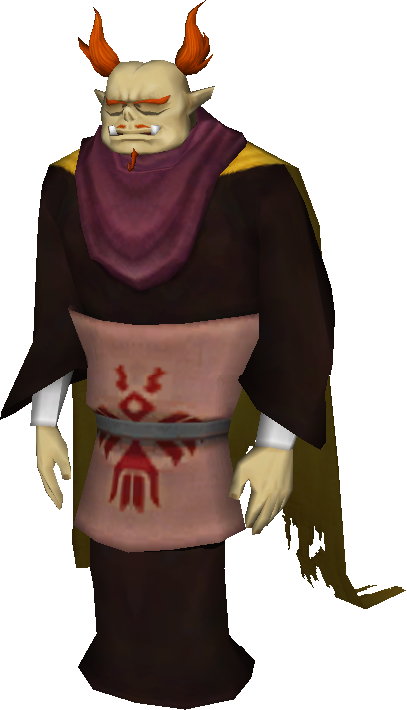 As with Agitha, the game introduces you to a friendly demon by the name of Batreaux (who knew French existed in the pre-Hyrule era?) who wants nothing more than to be a human. For collecting gratitude crystals, he gives you wallets, money and even a Piece of Heart. Gratitude crystals are of course received by doing interesting side quests that usually lead to somewhat entertaining cutscenes. Again, the final prize being a wallet is not something I so much care for, but wasn’t it worth it to watch Batreaux become that horrible eyesore of a human being? Honestly, he looked better as a demon! With a concept similar to gratitude crystals, the force gems in Spirit Tracks are generated usually by doing fetch quests and making people happy. Although doing the quests rapidly becomes boring, the prize, more railroad tracks, was rather satisfying. It allowed for more room to explore, new mini game stations, and often Heart Containers. They even offered more… Rabbits? 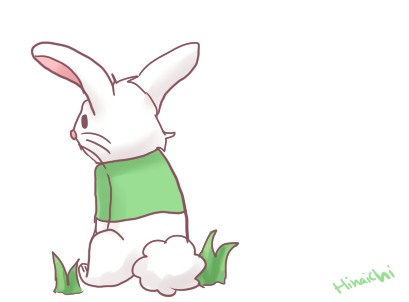 Oh, the rabbits. I hated getting all of the rabbits; it was unexciting, time consuming, and in the areas where they camouflaged, my colorblind eyes felt pain and terror. So why did I even decide to get all of them? Sword beams. Sword techniques are probably the best incentive, in my opinion, for doing major quests. The same reason I collected all of the stamps: it was just too cool to pass up. If only other Zelda games would make sword techniques the award for less boring quests. 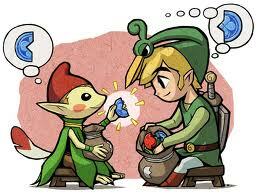 I think it was something Phantom Hourglass attempted with Spirit Gems; to make simple collectibles that rewarded well. And don’t get me wrong, they did that pretty well. I mean, collecting ten of each gem was a complete joke, and getting any more than that felt like a slight challenge, but overall I had little difficulty with it. The rewards were very nice, courage yielding sword beams and power yielding a flaming sword with twice the strength of the first sword. The wisdom rewards were unappealing, but hey, two out of three isn’t bad. My only true complaint is that it was too easy. And that’s certainly not the worst thing in the world. But I think a much more interesting collection item came in the challenge of finding seashells in Link’s Awakening. The shells were pretty well hidden, often just in a random patch of grass, and sometimes requiring more interesting puzzles to solve. After getting a total of twenty shells, your reward is the level two sword, which is a great prize for a collection! Honestly, if only Nintendo realized how awesome sword upgrades are, because I’d like to see all of my ongoing quests rewarded with them! The seashells also make an appearance in Minish Cap, as a way to obtain figurines, possibly the worst ideas ever. The idea of figurines is a fine one; they’re like in-game collectibles that look semi-interesting and cost only mysterious seashells. But the issue is, the chance to get new ones go up as you spend MORE seashells, and you have a lower chance of getting new ones as you get more, forcing you to get MORE seashells, eventually leading to you needing literally thousands of seashells. THOUSANDS. Why? Because they can. Such a great idea gone so poorly, but at least the prizes are nice. The final Piece of Heart, a phonograph that allows you to listen to every song in the game, and of course a medal that tells you “You did it! You wasted your time getting the figurines!” Luckily, I think the game easily makes up for it with it’s second, more important collectible item. Kinstone pieces are introduced in the poorest way possible. You get some weird guy walking around with a crankable… something, yelling “Hey kids! Come on down, so I can teach you about rocks!” On my first time playing this game, I was turned off by this and didn’t attempt to kinstone fuse. After getting a bit older and picking up the game again, I realized how fun kinstone fusing can be. The rewards are always somewhat helpful, whether it’s a Piece of Heart, rupees, or those horrifying Mysterious Seashells, it’s a great reason to explore the overworld, talk to every NPC, and really find every little thing there was to find in this game. It should come as no surprise if you’ve read my previous articles that Minish Cap is one of my favorite games, and a lot of that love is from the kinstone fusions. As for rewards, getting all 100 kinstone fusions gives nothing more than a trophy in your inventory, which is minimal and not at all interesting, but each fusion gives you some prize, no matter how small, so I didn’t mind at all. I think this an extremely well done part of an extremely well done game. Well that’s it for this week, but remember to check back every Tuesday at 11:00 AM Central Time for a new article. Don’t forget to leave your ideas for next week below! Lastly, to adress a frequently asked question: “Why did you forget *Zelda Game*? The truth is, I probably didn’t forget it. I just can’t possibly address everything from every game. It would be impractical, as if I can spend more time on each topic, then each paragraph rises in quality. If I left anything out, feel free to put your opinion on it in the comments! So what do you think? Where do you agree or disagree with me? What would you like to see next week? Leave your comments below!